Clement Chang, Esq. is a Senior Associate Attorney with Pasricha & Patel, LLC. His practice includes all areas of business immigration, and employer compliance issues at the federal and state level. Clement’s expertise extends to labor certifications (PERM), and employment-based non-immigrant and immigrant visa petitions. He assists with representations for a variety of clients from information technology companies, pharmaceutical companies, educational institutions, researchers and scientists, restaurants and dining services, to performers and musicians as well as religious organizations. Clement also represents individual clients with filing of family-based immigrant and non-immigrant visas, which include parents, spouses, fiancé/fiancée, brothers and sisters. 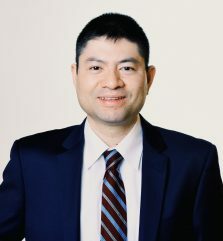 Clement’s background in preparing and filing H-1B non-immigrant petitions allows him to have an extensive understanding of employer compliance issues and recruitment requirements that arise from being an H-1B employer. He has assisted with representation of H-1B employers who must maintain public access files and those who encounter inquiries or audit requests from both the U.S. Department of Labor and various state labor departments. He is a member of the New Jersey and New York bar.